So. Been a while. A nice easy one to, er, get back on the horse. 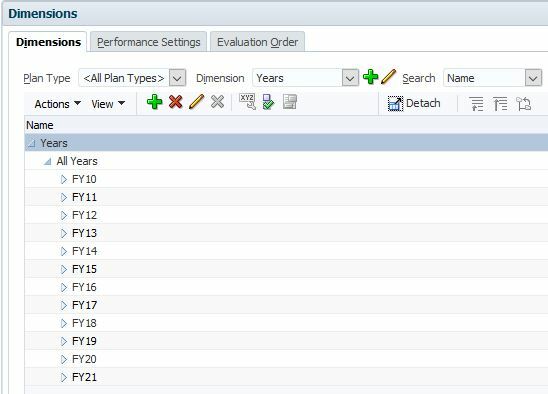 There are two processes for changing the first year in an Hyperion application. Delete the planning application, and recreate, changing the first year when you define it. So what does this look like in the cloud? 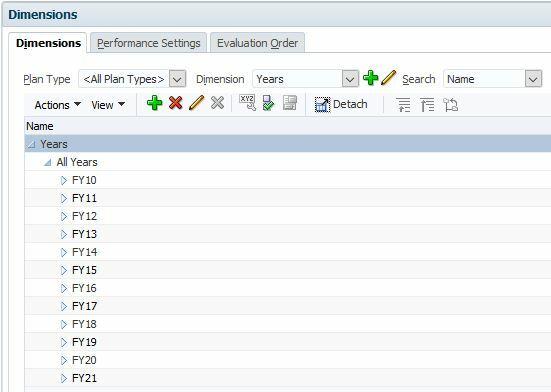 You don’t have access to the relational tables, so are you stuck just dropping and recreating the application every time? Well. No. Entertainingly the behaviour in the cloud is a little different. Let’s start with a standard years dimension. You can see I’ve already been a bit cute and added the ‘All Years’ member, but it’s pretty standard. As a quick aside. This…somewhat poorly worded confirmation screen triggered this entire blog post. I remember thinking ‘No. Surely if they are allowing you to create years at the start it’s going to be clearer than a partial double negative‘. Of course, being the good corporate citizen I am I immediately clicked No to see what would happen. Yep. Years added to the start. Err…Suprise!. So – we wait for everyone who has a cloud instance to go and immediately add years to the start while cackling madly. Now what? 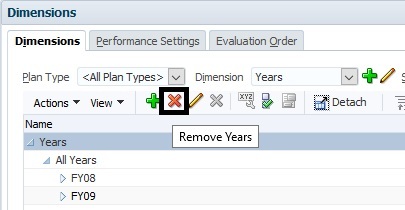 Well, we’ve proved that you can add year(s) to a Hyperion Planning application in the cloud. What about deleting them? Selecting a number of years and clicking OK leads you to the similar, and once again ‘slightly convoluted‘ confirmation message. Clicking No…well, does exactly what you’d expect. The Years are removed and we’re back where we started! Same as deleting members, you need to make sure the years aren’t referenced on dataforms\within calculations etc etc. 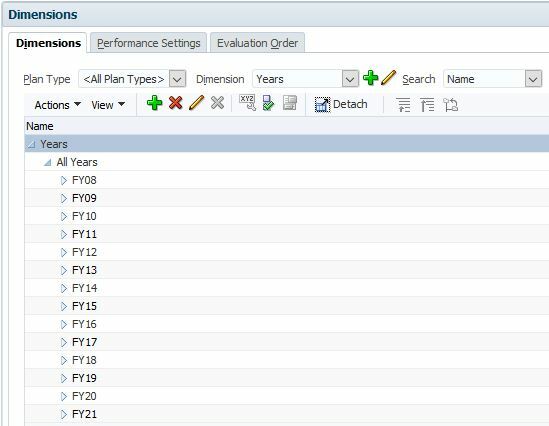 Adding and Removing years in Hyperion Planning without angst, muss or fuss. Be awfully nice to see this in on-premises…. Cheers, and looking forward to seeing an awful lot of you at Kscope!